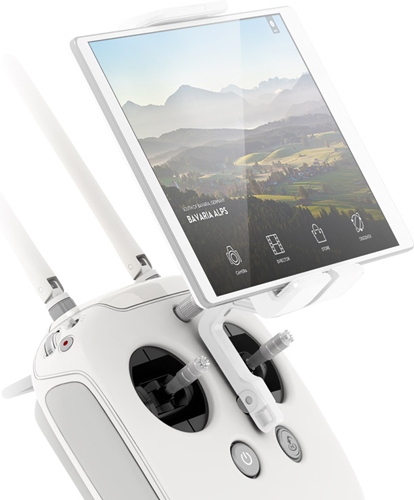 Capture amazing 4K aerial footage in 4K UHD with the new DJI Phantom 3 4K drone from BuyDig.com. Equipped with a 12 megapixel 4K camera and built-in Wi-Fi, this quadcopter is guaranteed to create remarkably crisp videos and images from up to three quarters of a mile away. With a 3-axis stabilization gimbal, the camera remains steady and precise, no matter how choppy the flight may be. The patented DJI Intelligent Flight Battery gives you 25 minutes of flight time on a single charge and communicates to your mobile device just how much flight time you have left, alerting you when it’s time to head back. If for any reason your controller loses connection with your drone, its failsafe kicks in and automatically returns to the takeoff point. Recharging is quick, easy and the bright LED indicators inform you of its status and power level. The intuitive DJI GO app gives you complete control of the camera and flight settings. With the Phantom 3 4K’s worry-free autopilot, the auto-takeoff and auto-return features make the entire flight, from take off to landing, a breeze. The Phantom 3 4K is a top choice for all skill levels and comes standard with a dedicated controller, giving you precise flight controls at your fingertips. The unique Beginner Mode enables you to learn to fly in a limited flying space by automatically staying within the defined area. 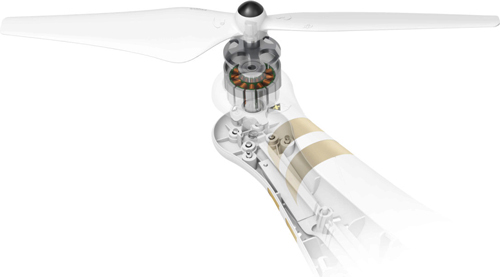 This feature allows for exceptional safety for you as well as your new drone. Get unparalleled customer service when purchasing from BuyDig.com. Once you’ve placed your order we will process it within 1 to 2 days and ship it off at no extra cost in the U.S. If you’re unhappy with your purchase; we offer a return policy and full refund depending on certain terms and conditions.